Action Alert—Now the FDA Is Going After Vitamin C! The FDA has just notified one pharmacy that it will no longer be allowed to manufacture or distribute injectable vitamin C—despite its remarkable power to heal conditions that conventional medicine can’t touch. Please help reverse this outrageous decision! Let’s get this straight. The government acknowledges the risk of a worldwide flu pandemic. It acknowledges that conventional drugs cannot cure big viruses-like the mononucleosis and hepatitis viruses, many influenza viruses, and many others. It acknowledges that many bacteria have become resistant to antibiotics and are killing increasing thousands. It acknowledges the risk of a worldwide drug-resistant TB pandemic. Despite acknowledging all this, it now insists on wiping out one of the best potential treatments for these conditions and for certain cancers as well. And why is this being done? What possible rationale is offered? Because it’s dangerous? No. Because it can’t be patented and therefore won’t be taken through the standard FDA approval process. No matter that vitamin C is one of the least toxic components of our food supply and liquid forms of it have been used safely for decades. By the way, here is what is not safe. Don’t substitute home-made vitamin C solution for pharmaceutical grade liquid. That is not safe for injection. If the FDA action leads someone to do that, the FDA should be held responsible for the results. The government, instead of banning intravenous vitamin C, should instead be supporting research into it. Even though IV C is being used in burn units around the world, including in the US, and has been adopted by the military for this purpose, the National Institutes of Health (NIH) refuses to fund any studies using intravenous C in patients. There are privately funded studies currently underway, but of course these cannot continue if the FDA bans the substance. With this pharmacy, the FDA also banned injectable magnesium chloride and injectable vitamin B-complex 100. These two substances are routinely added to intravenous C to make the “Myers Cocktail,” used especially for conditions such as chronic fatigue syndrome, and infectious diseases such as hepatitis, AIDS, mononucleosis, and flu. The FDA is not going after the Myers Cocktail directly, but is rather attacking each individual substance used to make the cocktail, and may conceivably be going after injectable vitamins and minerals in general, despite such injections being given under the care of a qualified physician. Please contact the FDA right away, and tell them to stop this foolish war on intravenous vitamin C! Each of us reading this should think, “Intravenous C could someday save my life.” Dr. Jonathan Collin, editor of the Townsend Letter, discusses the case of a man in New Zealand who nearly died from swine flu. After developing a severe fever and upper respiratory infection, his condition deteriorated and he became comatose. Eventually even a ventilator was insufficient to keep him breathing because his lungs were so compromised by pulmonary edema. After weeks of heroic intervention, doctors decided there was no chance of survival and nothing further should be done for him. The family asked the hospital to administer intravenous vitamin C. After much disagreement, the hospital gave him 25 grams of vitamin C every 6 hours. There was so much improvement over the next two days that the hospital decided to reinstate his intensive care—but they discontinued the vitamin C, saying that he had improved only because they had rolled him onto his side or his stomach instead of keeping him on his back! Not surprisingly, his condition once again deteriorated. The family moved him to another facility that reluctantly allowed the IV vitamin C (albeit at a lower dose), and his lung function gradually improved. He came out of coma after four weeks, and after taking vitamin C orally, he gradually improved enough to be discharged. One year later, he was back to flying his plane and surveying his farm in New Zealand. None of the doctors who fought so hard to prevent his treatment with vitamin C have ever acknowledged their error. Even people in perfectly good health may not be getting enough vitamin C. We recently noted the research that up to 87% of Americans are vitamin D deficient. 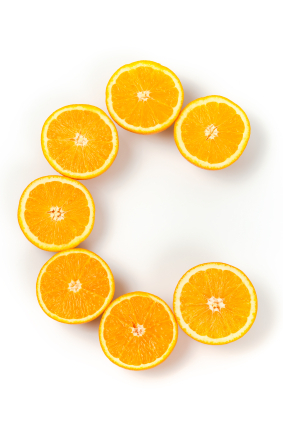 But studies also show that many people may be deficient in vitamin C as well. A recent study on 1,000 Canadian adults found 33% had suboptimal levels of vitamin C—one in seven was “very deficient”—which could place them at increased risk for chronic health problems. Those who were vitamin C deficient were also more likely to have larger waists, greater body mass, and higher blood pressure. The study’s author, Dr. Ahmed El-Sohemy, suggested eating fruits and vegetables high in vitamin C, such as citrus fruits and peppers, or taking supplements. The recommended dietary allowance (RDA) in nonsmoking adults is 90 mg per day for men and 75 mg for women, though some experts say a minimum daily dose of 120 to 200 mg is more appropriate, and some routinely take much higher doses themselves. Research also shows that people suffering from various diseases may benefit from larger amounts. In the case of the common cold, a review of published trials found that amounts of 2 grams per day appear to be more effective than 1 gram. But there is a big difference between oral vitamin C and intravenous C. One maintains your health. The other seems to directly attack pathogens and cancer cells. Vitamin C taken orally will not do this, because the concentration does not seem sufficient to accomplish the task. Please take action immediately! Please contact the FDA, and tell them to take their job of protecting our health seriously—by allowing injectable vitamin C, magnesium chloride, and vitamin B-complex 100 to continue being manufactured and sold! And don’t accept the answer that these substances need to be taken through the full FDA approval process. These are not patentable substances and no one will pay billions to do that. To require a standard approval process for them is identical to banning them, as the FDA know full well.